The titular duo attempt to rescue the latter's mother from the 'Quantum Zone'. Despite his superhero moniker, Paul Rudd's Scott Lang (aka Ant-Man) doesn't just possess the ability to shrink to the size of an insect; his Hank Pym (Michael Douglas) designed suit also allows him to grow to gigantic dimensions. Trouble is, this latter function hasn't been fully developed, and spending too much time giant size causes Lang to rapidly run out of energy and fall into a deep sleep. Ironically, Marvel have given us the perfect analogy for their stultifyingly dull and never-ending series of comic book adaptations. Lang's energy depletion is the same feeling I get roughly 80 minutes into most Marvel movies, when the knowledge kicks in that having been worn down by endless talky scenes of faux-politics and discussions of macguffins and doohickeys, I now have to endure an overlong climactic action set-piece, one which will most likely be rendered in the blandest of fashion, thanks to Marvel's insistence on 'pre-visualising' their action scenes rather than allowing directors to stamp their own vision on such set-pieces. 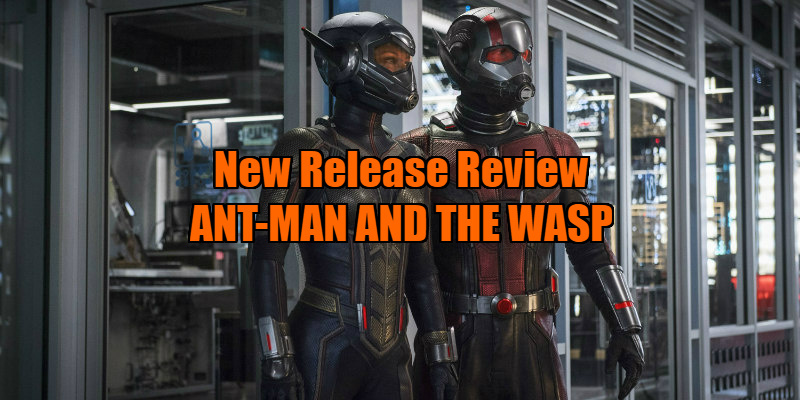 To be fair to Ant-Man and the Wasp, director Peyton Reed's film has a lot more in the way of visual invention than most of its Marvel stable-mates, and it actually exploits the cinematic potential of its fantastical premise to a certain degree. There are some genuinely clever visual gags based around the eponymous duo's ability to shrink both themselves and a variety of vehicles and this time out, even a building. De-aging tech has evolved light years since the uncanny valley of Rogue One's young Leia, with both Michelle Pfeiffer and Douglas returning to their 1980s selves in a pre-credits flashback in flawless fashion. The simple but over-complicated plot concerns a laboratory which houses the equipment necessary for Pym and his daughter, Evangeline Lilly's Hope van Dyne (aka The Wasp), to attempt to rescue the former's wife and the latter's mother (Pfeiffer's Janet van Dyne) from a sub-molecular realm known as the 'Quantum something or other.' As Lang jokes, the script frequently puts the word 'quantum' in front of other words. Pym's lab can be shrunken to dollhouse size, which seems convenient, but not so when it falls into the hands of the mysterious 'Ghost' (rising star Hannah John-Kamen). Also after the lab is an arms dealer played by Walton Goggins in a performance that's indistinguishable from the baddy he essayed in this year's Tomb Raider. While Ant-Man and the Wasp has a handful of applaudable sight gags (one involving a drive-in movie theatre is sheer genius) and manages to integrate some humour into its obligatory overblown climax, such moments are all too rare. The movie's midsection plods along at the pace not of an ant, but of a snail, with scene after scene of characters spewing technobabble and explaining the plot to each other (Douglas himself recently confessed to being unable to make any sense of the film's plot). We even get the classic clichéd scene where a villain has our heroes held captive and proceeds to dole out their backstory. Despite no less than five (!!!) writers having worked on the screenplay, apparently none of them could find a more organic way to flesh out the movie's villain. None of the quintet managed to flesh out the relationship between ex-lovers Scott and Hope, squandering any possible sexual tension between the two that might have livened things up. As Scott's ex-wife and her new hubby, Judy Greer and Bobby Cannavale display more chemistry in their brief appearances than the titular duo share. The overall sense here isn't so much of characters conversing as simply waiting for their turn to deliver a line of expository technobabble. Watching Ant-Man and the Wasp a week after seeing the deliriously exciting Mission: Impossible - Fallout leaves the flaws of the Marvel formula fully exposed. 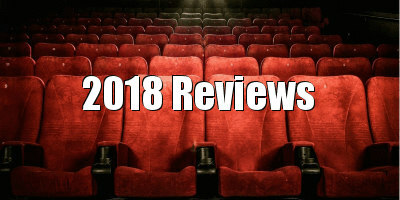 Where the Tom Cruise vehicle boasts the singular vision of writer/director Christopher McQuarrie, Marvel's movies are made by committee, and as a result you rarely get the sense that the writers and directors have any personal interest in the series. Marvel movies aren't creator driven passion projects, they're financial obligations, cinematic sinkholes in need of filling with superhero cement. 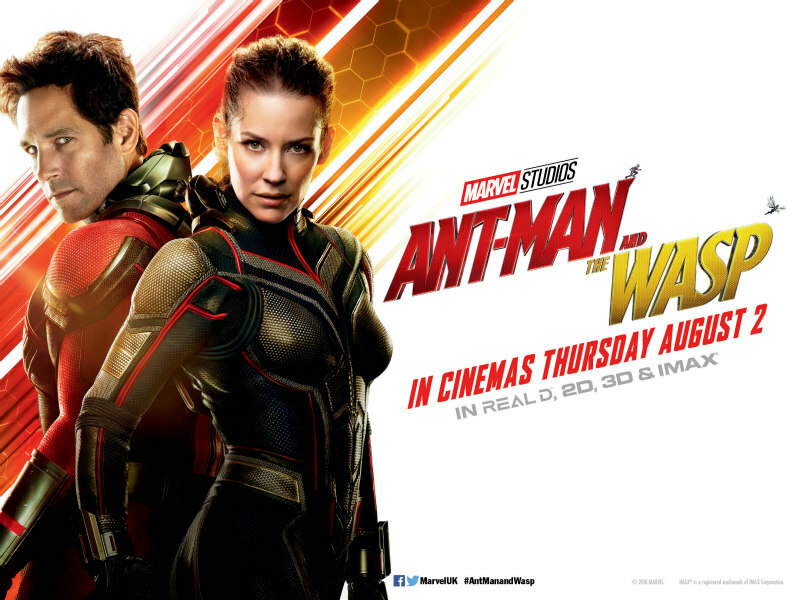 Ant-Man and the Wasp is in UK/ROI cinemas August 2nd.